Bought this in July 2017. No longer reads CF cards. Have reached out to customer service as it has a two year warranty - see whether they will honour it. Sorry you ran into problems with our card reader. We can definitely help replace the product if it has failed. Please feel free to contact our Technical Support Team by clicking on the "Chat Live" button on our Home Page. Using the adapter with the new Macbook Pro, working with SD cards (cameras and phones mostly). Plug it in, and it just works. If I have the SD card in the reader before connecting to the Macbook, I have to remove the SDcard and re-seat it. But other than that one thing, it doesn't have any downsides. Transfers data very quickly indeed! Solid metal shell, thick cable, and holds the cards firmly. It seems to attract every bit of dust/hair/pollen imaginable, so keep it in a case or bag when not in use. Would love to see StarTech have a molded slot cover for this adapter. I received this product in exchange for an unbiased review. (5 stars) Plug and play - easy to use! 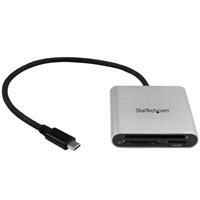 No power required - just plug this reader into a USB-C port and it starts working immediately. It has SD, microSD and CompactFlash (I did not not try this one as I do not have any media for it) and the SD / microSD worked flawlessly. The speed of the transfer of data will depend on the make and model of the media. This product definitely gets a thumbs up from me as there were no power adapters or drivers required - ease of use at its finest. I received this product in exchange for an unbiased review. When Apple came out with the newMacBook Pro's with Touchbar they did not include the SD Card Readers or USB 2.0 ports so. Having a laptop that only has USB-C ports made it difficult to access data on any type of SD cards. Once again StarTech has an answer for this issue. Their new USB-C SD Card Reader is plug and play ready and includes SD Card, MicroSD, and Compact Flash ports. I have found that it is as simple as plug the reader into the laptop and it works. I have been in the technology business for over 35 years and for the past 20+ years I have been asked to provide unbiased reviews of various products from both the AV and IT world. 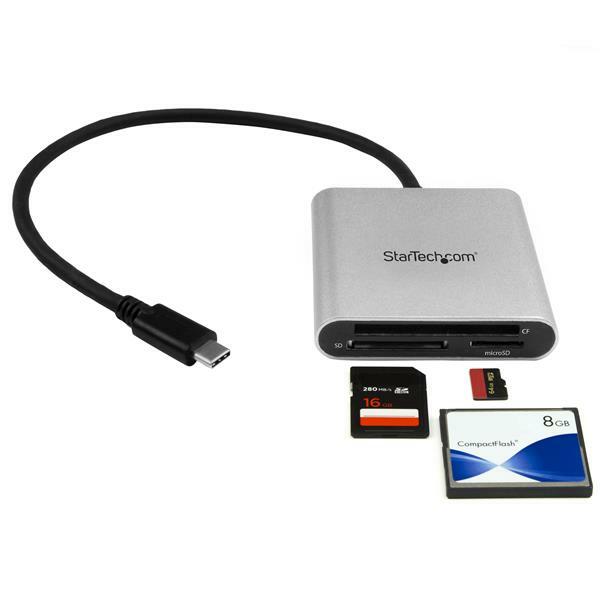 In review of this product I have found that it transfers photos, videos, music and other files to and from various memory cards to USB-C enabled tablets, laptops, smartphones and desktop computers with very good data transmission speeds. There was no software or drivers required to utilize this devise, which is a huge plus. I found this unit to be backward compatible to USB 2.0. 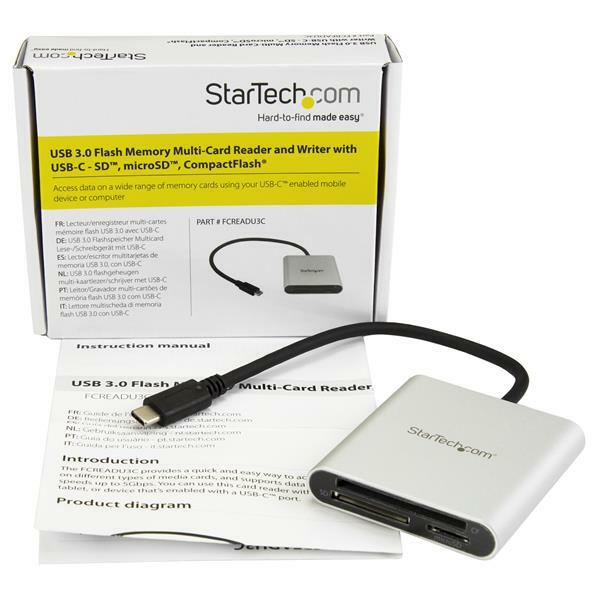 Finally, I liked that the multi-card flash reader and writer supports Secure Digital, microSD and CompactFlash cards In the box: -Multi-Card Reader and Writer -Instruction Manual In summation, solid product, easy to use. I received this product in exchange for an unbiased review.